Chameleon is a painting by Denny Bond which was uploaded on January 15th, 2010. Children's book about the camouflaged chameleon. 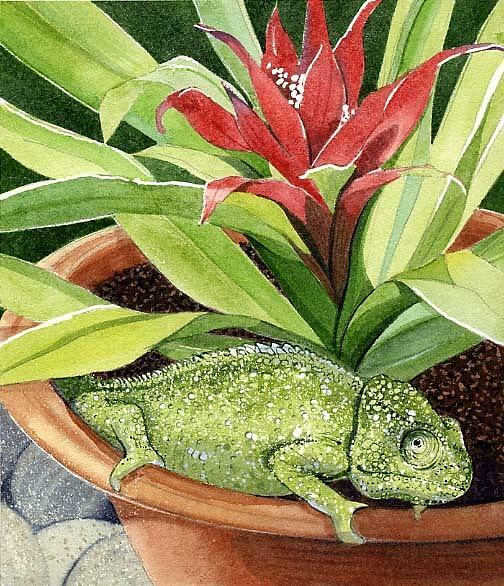 Denny, I like your combination of bromeliad and chameleon and especially the chameleons personality. Wow, I really like this one!